Imagine being able to buy property for a fraction of the value by paying back taxes online. You can do this. People do it every day and they make big profits doing it. It’s called investing in tax defaulted property. Linda Misischia learned how to pay back taxes online by investing in tax defaulted property. She tells you about her experiences in this short video. When people do not pay their property taxes, the governments that depend on the taxes go through a collection process. The final step is a tax defaulted property auction. There are two basic kinds of auctions: Tax Deed and Tax Lien Certificate. Some states offer a hybrid auction, meaning they use parts of the tax deed system and parts of the tax lien system. Before you start this kind of investing, you need to do your homework and know the rules. Let’s take a closer look at these auctions and how you can invest to make big profits. In a tax deed auction, the local tax collector sells the property. If you have a winning bid in the auction, you get the property. You do have to fill out some paperwork, but that’s so the title can be transferred to you. A tax deed auction is a great opportunity for someone who wants to own property. Once you own the property you can do whatever you want to with it. Many people buy property in tax deed auctions and sell the houses for a big profit. Some people prefer to rent so they can have a monthly income. If you want to sell the property, Members.TedThomas.com has several videos that teach you how to sell your property without using a real estate agent. My video “How to Instantly Slash $479 from Your Marketing Costs” shows how this is possible. If you want to become a regular investor, I show you how to build a list of buyers on websites like eBay. If you want to rent the property, then you need to know about the landlord-tenant laws in that state. Every state has different rules. If you plan to rent property in a location not near you, hiring a property management company is a good idea. They take care of finding and screening tenants, collecting rent and making sure your property is in good shape. In a tax lien certificate auction, you are buying the right to collect the past due taxes plus any premiums added by the tax collector. You also collect interest on your investment. More than 95 percent of tax lien certificates are redeemed. Interest rates vary. The highest is Illinois, where you can earn 36 percent annually. Double digit interest is normal. Ohio allows as much as 18 percent interest. Tax lien certificates have a redemption period. When the owner redeems the property you get paid what you spent at the auction, plus interest. Redemption periods vary by state. If the owner does not pay you, then you can foreclose and you own the property. This is rare. After a tax lien auction, you do not have any right to go on the property unless you go through the foreclosure process. Several states offer hybrid auctions, meaning they use parts of both systems. Texas offers redeemable tax deeds. This is a bit different from a tax deed. In a tax deed auction, you get the property outright. In a redeemable tax deed, you cannot take possession of the property until the redemption period of six months has expired; the owner can get the property back by paying you for your investment plus a penalty (additional payment) of 25% on your total investment during the first six months and an additional 25% after six months: A possible 50% return on your investment. That’s not a prorated interest rate, that’s a potential 50% return after six months and one day! Once the redemption period runs out, you can sell the property for whatever amount you want. Every state has some sort of tax defaulted property auction. Every county has different rules based on what state law says. You have to know the rules. You have to know what is expected and you must meet all the auction requirements. You get the county-specific requirements by contacting the county tax collector. More and more local governments are moving to online auctions. This means you can participate in the auction from anywhere in the world if you have an Internet connection. 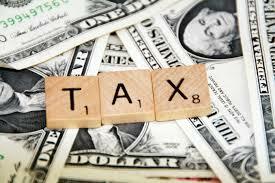 You can pay back taxes online and earn big profits by doing so. These auctions are open to the public. Anyone who fills out the auction registration forms and has enough money to bid can participate. Some auctions allow people to just show up and bid. Online auctions have pre-registration requirements. Every county has different registration requirements. You can get this information online from the website of the county or local government office that is holding the auction or by calling the county tax collector. Online tax defaulted property auctions usually require a deposit. The amount you have to put down varies even within the same state. Here are two examples from California and two from Florida, showing the difference. Every county has its own rules for the auction. You have to know the local rules to be successful. Every county can have different payment requirements and a different grace period for you to send your repayment in. The most common form of payment is an electronic check or Automated Clearing House payment. This form of secure online payment deducts your payment from your checking account and transfers that to the tax office immediately. This is a good way to handle payments because you don’t have to worry about lost or missing mail or delays. You can also mail your payment in. Certified checks are accepted by nearly all tax collector offices. If you can’t do one of these, ask about wiring the money to the tax office. Regardless of which payment process you use, do it as soon as possible. When you in a bid in an online auction, you will have paperwork to complete. Most often this can be completed entirely online. Sometimes it can be scanned and emailed or faxed. Occasionally the paperwork will be mailed because it needs original signatures. You may have to pay a small fee to have the paperwork processed. If you have to foreclose on a property you bought in a tax lien certificate auction, you’ll have more paperwork. In this case, I recommend you contact a local real estate attorney to handle the foreclosure process for you the first time you do this. The cost for this should be minimal. Having a lawyer do it protects you and your investment. To find an auction, first, decide where you want to invest. Every state has tax defaulted property auctions and every county has auctions. These auctions take place every week somewhere. Pick a state. Then pick a county. Look online or call the county tax office. Ask when the next property tax auction is planned. If that county does not have one scheduled, go to the next county on your list. Once you find an upcoming auction, it’s time to start doing your homework. First, you need a list of the properties that are for sale. You can most often get this from the tax office online or the local newspaper. Tax defaulted property auctions have to be published in the local newspaper. The listings are published in the Public Notice or Legals section of the newspaper. Newspapers in every state often publish these listings and most counties post the list for free on a website. Just search online for terms like “Tax Lien Sale” or “Tax Deed Sale” along with the county and state name and you will find a link to the location of the list of properties coming up for auction. With a list of properties in hand, your homework begins, You must perform due diligence. You have to know if the property is worth your investment. Since you are doing this online, you property research has to be done online. Zillow.com is one of the best websites around for property research. It can tell you the history and value of the property. I teach you to use Zillow.com at my website Members.TedThomas.com. My website also has much more information to help you earn big profits and be successful when you pay back taxes online.